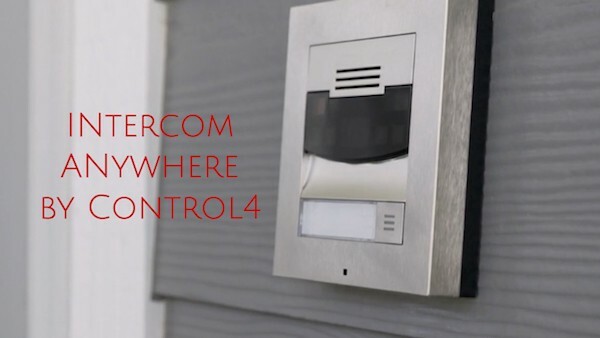 Control4 Chairman and CEO, Martin Plaehn, said, “Intercom Anywhere elevates the smart doorbell by unifying access control, video surveillance, security and interactive communication”. Intercom Anywhere has combined the need of smart home security through video surveillance and on demand control of home features (e.g. smart locks and lighting) with the convenience of a quick to launch app that the entire family can use to answer the door, whether from inside the house or around the world. The Intercom Anywhere interactive app can be downloaded from the Apple or Google Play store by every member of the home. Through the app, home members can see who is at the door through the video surveillance function. The home member can speak through the app to the visitor, turn on home lights to ward off intruders, or unlock the door to accept a package. Another fun and functional feature of the Intercom Anywhere is the broadcast feature of the app that applies to all home members. Need to call the kids to a family meeting? Or let everyone one know the big game has started? Or maybe you want to sound a “last call” for dirty laundry for the day? Using the broadcast feature, you can send alerts to everyone in the home within the app, with a simple tap of a button rather than hunting everyone down for their dirty socks. Intercom Anywhere undoubtedly has elevated the smart doorbell by linking the smart home systems that should be speaking to each other, within one app. We’ve said it before but we’ll say it again… our favorite part of smart home innovation is watching the peace of mind that is unfolding with the evolution of home security. We believe that Intercom Anywhere gives you peace-of-mind plus a little something extra. We like extra. Be extra.